Scott is the President of Galvin Photo, LLC., a company that specializes in editorial and commercial photography in various genres including high-end creative portraiture, sports, and higher education. The company also provides services for consulting and photographic education. His work regularly appears in publications around the globe including the Sporting News Magazine and Sports Illustrated, including two Leading Offs, the most recent being in January 2012. He began his career in the field of photojournalism freelancing for major daily newspapers and wire services while attending college. 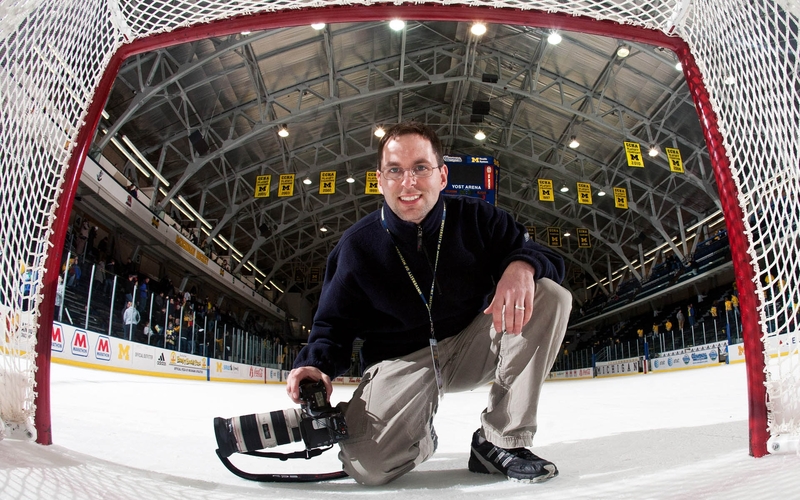 Following graduation, he enjoyed a six-year career as a University of Michigan staff photographer before deciding to start his own business. Starting his career in 2000, he’s covered a wide range of events and people. Some examples include photographing President Obama, former President George W. Bush, Super Bowl XL, the World Series and multiple playoffs and championships for every major U.S. professional sport. His extensive knowledge of strobe lighting has made him a go-to guy as a consultant for sports arena lighting installations. Scott’s clients have been able to implement the most efficient system for their needs, while avoiding project-related headaches and saving money in the long term. His vast knowledge goes beyond simple arena lighting and into remote radio trigger devices. He’s able to synchronize multiple lighting and camera systems for creating the perfect image. The core element of Galvin Photo is the team atmosphere. Whether it’s Scott working one-on-one with a subject for a low-key photo shoot or a handful of people including art directors, assistants, stylists, and models to create the finished product, everyone is included and works together in an encouraging and positive atmosphere. You can also find Scott on Wonderful Machine.